If it's officially September does it mean we can break out all the cute booties now? I'm one to always have them in my closet and love grabbing a few new colors each fall season. Right now I'm swooning over some neutral ones such as grey, light brown and beige. To me, they tend to really easy to throw on to dress up or down an outfit depending on what your agenda is for the day. Booties have to be comfortable! These grey booties ones I can put with any outfit! The block heel is key for me because I'm only 5'2 so it adds a bit of height but still comfortable that I can walk in them. If you need to, I break them in a few weeks prior to wearing them out on the town with friends. Hello bad blisters! Here are a few of my favorite fall booties for the fall. 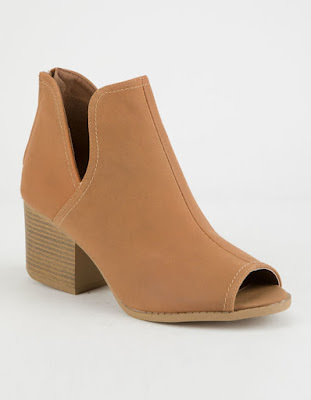 Cue all the PSL, pumpkin patches and adorable booties for under $30! 1. These RED sueded block heel booties are so stinkin' cute. I can't wait to pair them with a cute black dress. 2. This classic black bootie is one that you can dress up or down with. I love the gold zipper! 3. A peep toe is a must in my book! These booties are so fun and are a faux suede with fun side cut out. Have I mentioned they are only $12 too?! 4. 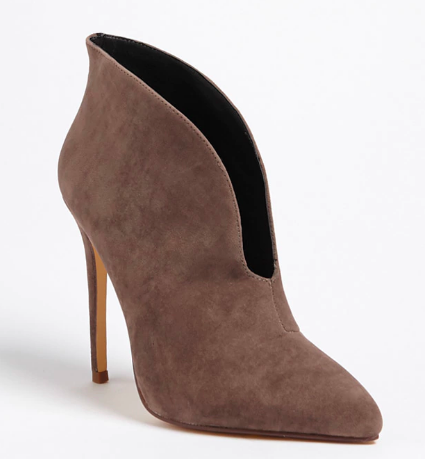 If you're looking for a statement bootie, THIS front cutout pointed stiletto heel is perfect for a night out. It comes in two different colors and under $15. 5. 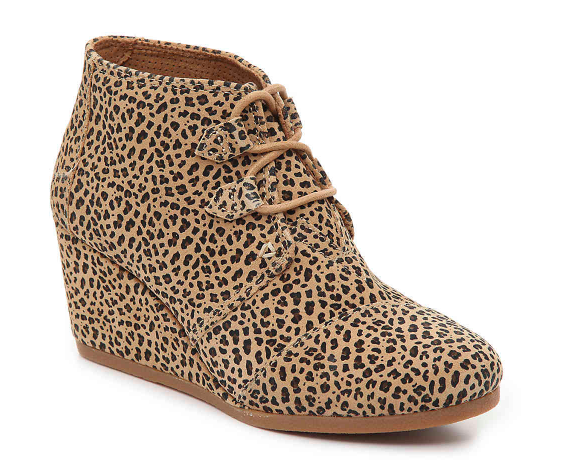 Leopard is in and these are simply the cutest little wedges I've ever seen! They are a bit on the pricer side but totally worth it for a little wild night. 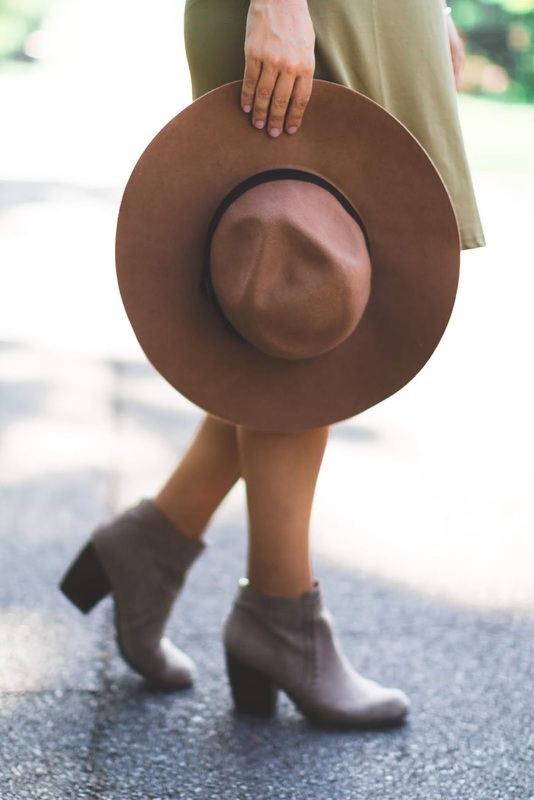 Are you a fan of fall booties? What are a must for you? I can’t do heels on boots, but those pull ons are tempting! I love the grey booties! I need a block heel as well since I'm only 5'3" and my balance on regular heels are not great! I can't do heels, but booties are adorable and omg, I love that first pair! The color is just perfect for fall. I can’t believe how affordable thse are. And so adorable! At first I thought the leopard ones were lace. Good reminder about breaking them in. I forgot to do that recently and paid the price. I'm totally a fan! #4 and #5 are my favorites! 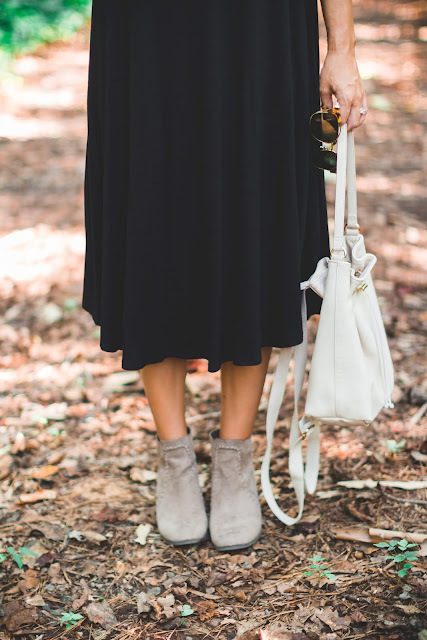 Booties are my favorite fall fashion staple ever! So fun. I'm seeing boots EVERYWHERE now that America is going into fall, and I'm not mad! I'm a boots wearer all year round, I think they're such a gorgeous accessory. Plus, I am short as HECK and boots are MUCH easier to walk in than heels - win-win! Love your selection! 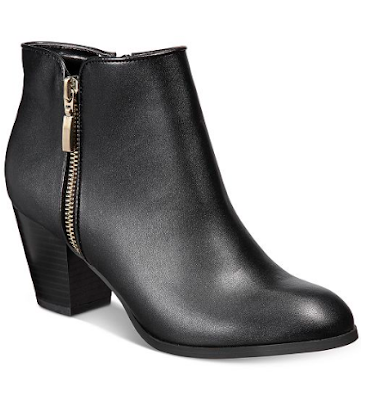 The classic black booties are a staple but the 3rd ones with open toes are very glam'! So ready to break out my booties! I need to add a leopard pair to my closet! 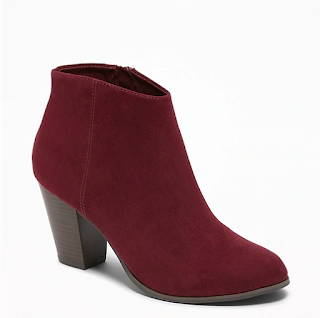 I really want a pair of booties but something with low to no heel for sure. I'm obsessed with booties and I love that these are all affordable! These booties are so cute! Can't beat the price point, either. Nice choices! I love the booties you chose for this post!! <3<3 Can't wait for Fall! The booties of various shapes and styles are perfect for literally any outfit. The combination with skirts or trousers of various lengths is optimal in any case.